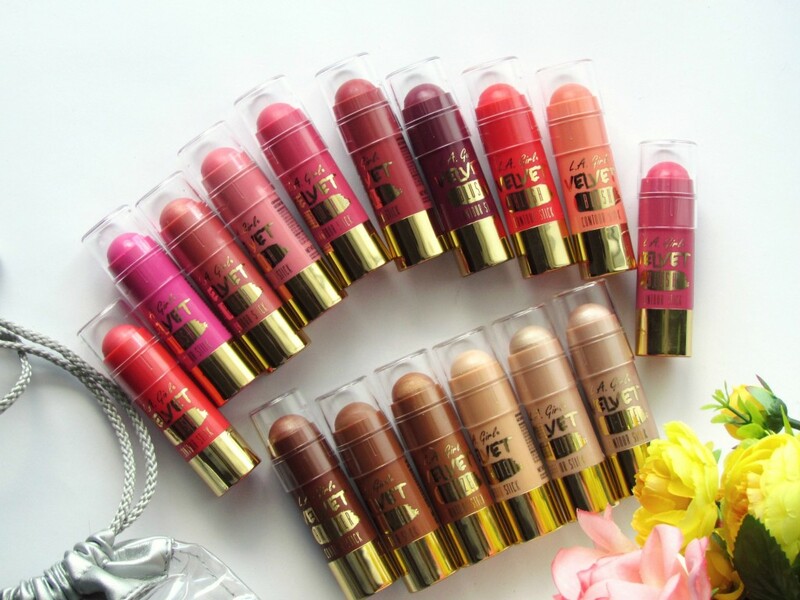 L.A Girls is one of the most popular drugstore brands. They have a variety of products that are of really good quality and such a great value for money. Few weeks back, I was sent this entire Velvet Contour Sticks Collection. 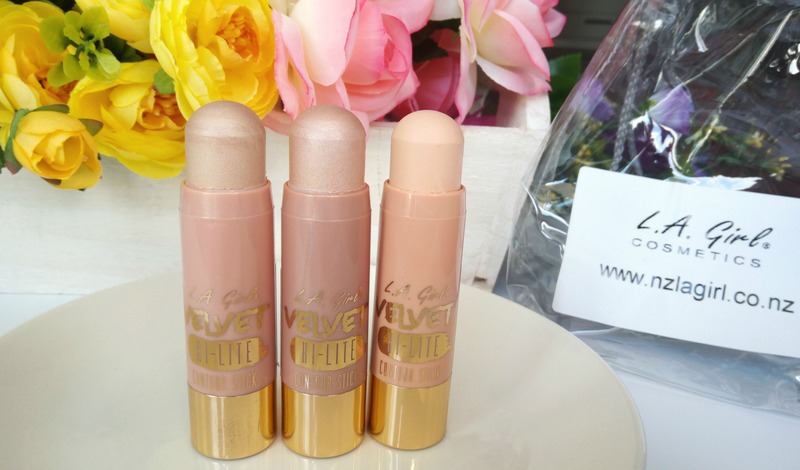 These fabulous products have completely taken over the contouring and highlighting. 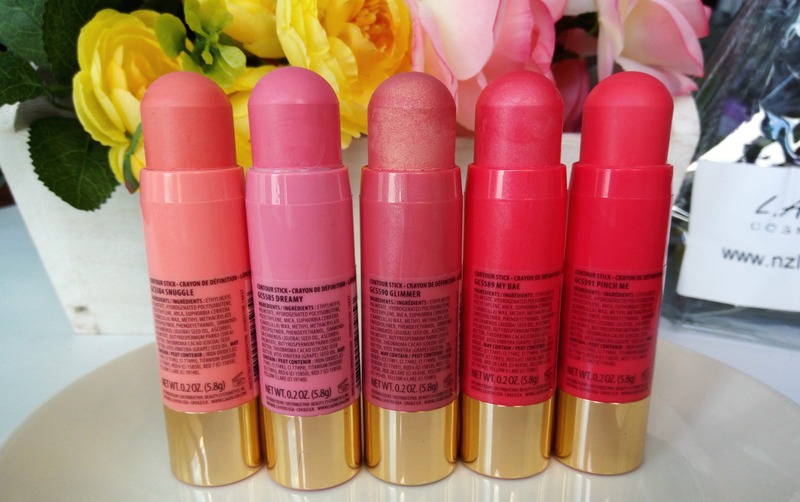 These products are designed to use with ease with the convenient twist-up stick packaging and a velvety cream formula that comes in highlight, blush and bronzer shades. 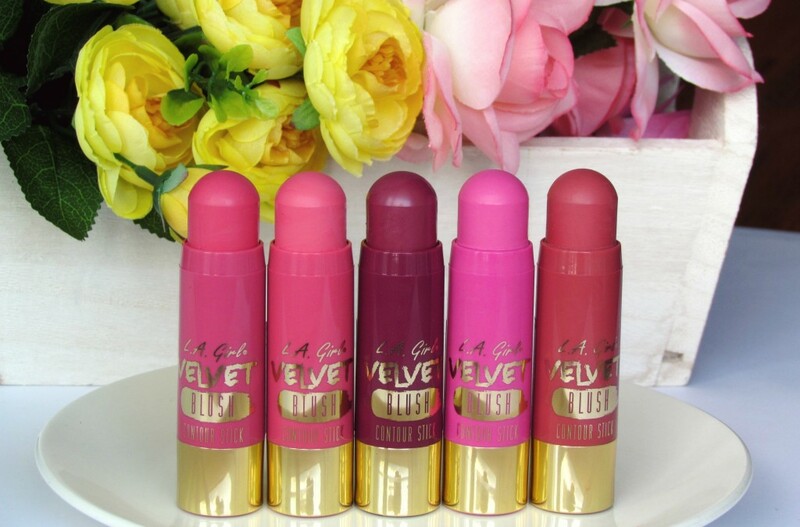 In today’s post, I am reviewing the entire L.A GIRL VELVET CONTOUR STICKS collection. This Collection includes 3 highlighters, 10 blushes and 3 bronzers. 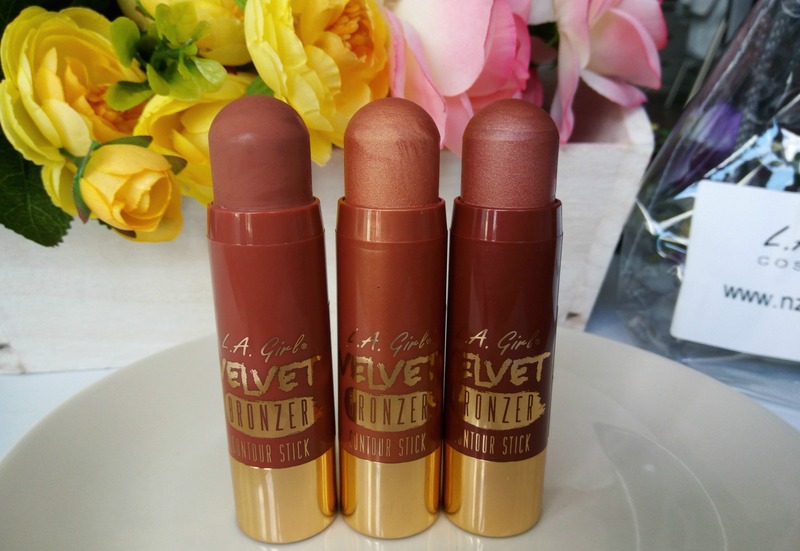 Contouring made easy with the new Velvet Contour Stick. Collection includes 3 highlighters, 10 blushes and 3 bronzers. This luxurious formula is paraben free with added jojoba seed oil, shea butter, cocoa seed butter and grape seed oil . 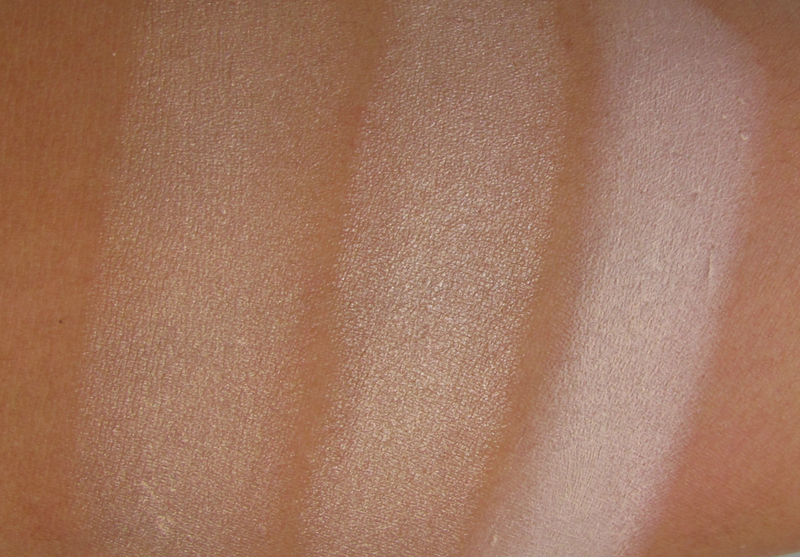 The soft powdery finish blends beautifully – perfect for contouring! 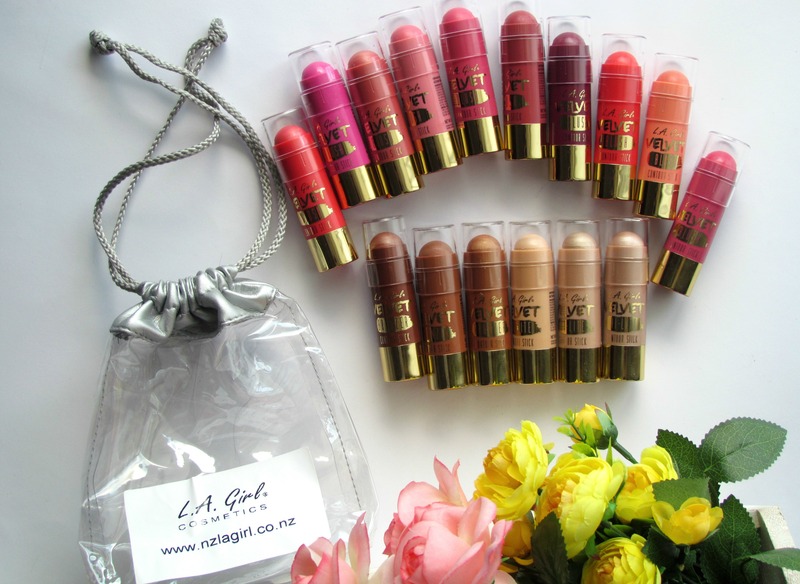 These are priced at NZD $12.99 each and is available for purchase here at NZ L. A Girl website. 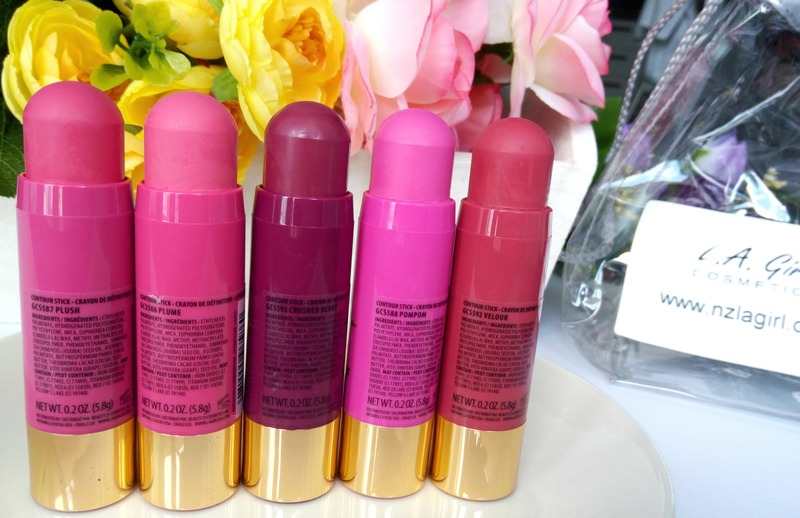 The packaging is really cute to look at! 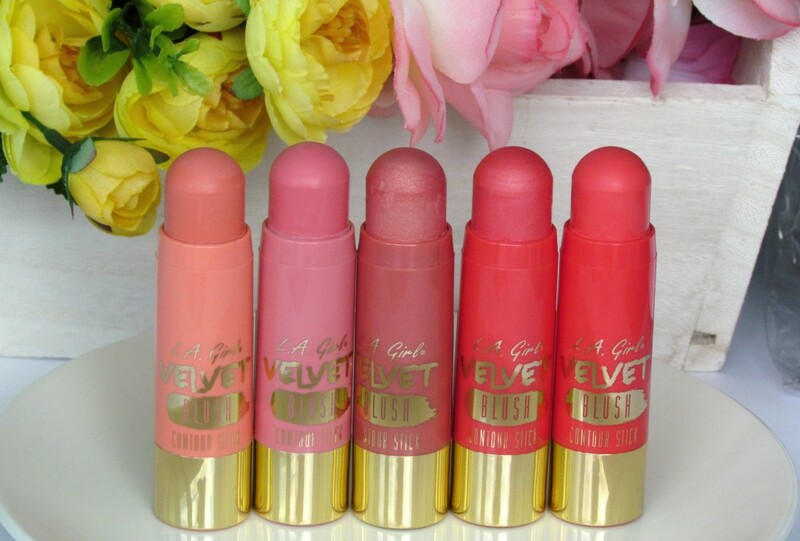 Big chubby twist-up sticks and the product itself is dome-shaped. They have a see-through cap so you can clearly see the shades, plus the outside of the tube closely matches the actual shade, making it easy to grab the one you want without having to look for the name. The dome shape makes it easier to use on your face. be it the contours of the nose or cheek bones; It’s super easy to use. Texture- The texture is very soft & velvety and it’s enriched with jojoba seed oil, shea butter, cocoa seed butter, and grape seed oil. They’re paraben-free and cruelty-free too! Application, Formula, Pigmentation etc – They have great pigmentation and glides on to the face easily and are super easy to blend. These don’t leave behind any streaks or lines. They set to a soft, powdery finish that lasts all day on my dry skin. Here is a little tip on the application of blushes – remember to start applying a little and blend into the skin and re-apply if you feel you need more. Longevity – Staying power is pretty impressive considering it is a drugstore product. Stays about 5.5 hours on me after which it starts to fade. I have divided the swatches to different sections – Blushes first, Then comes highlighters and lastly, the bronzers. Crushed Berry, Velour, My Bae are my favorite blushes. I use these 3 a lot for day time looks and I love them. Now, the highlighters- Radiance, Luminous, Cashmere. 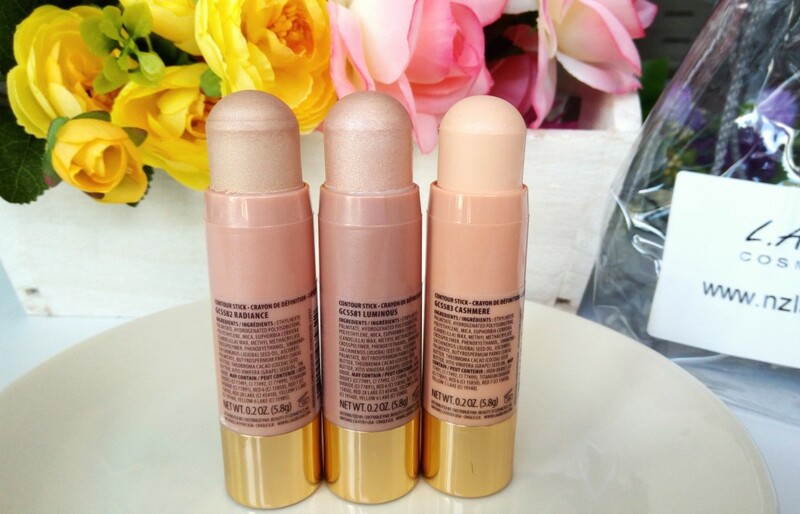 All 3 highlighters shades are really awesome. They are even great to be used as brow bone highlight and as a base for eye shadows. 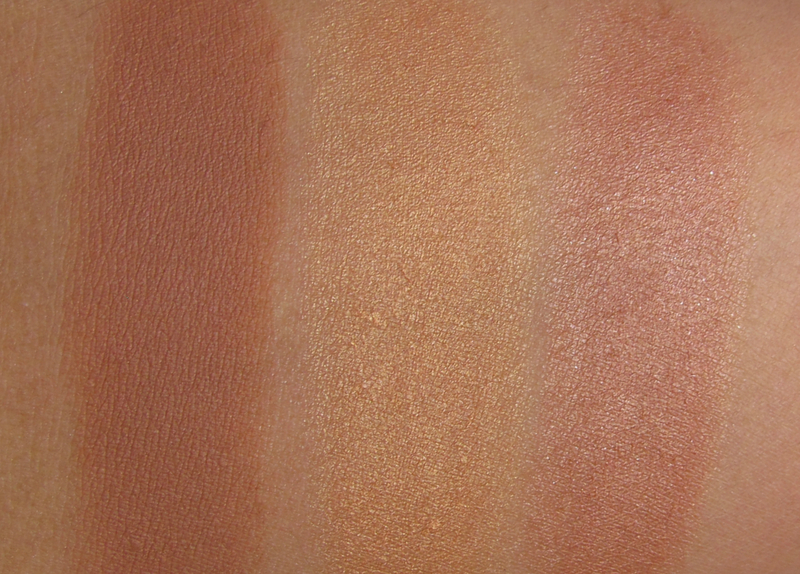 And the bronzers- Suede, Goddess, Brazen. 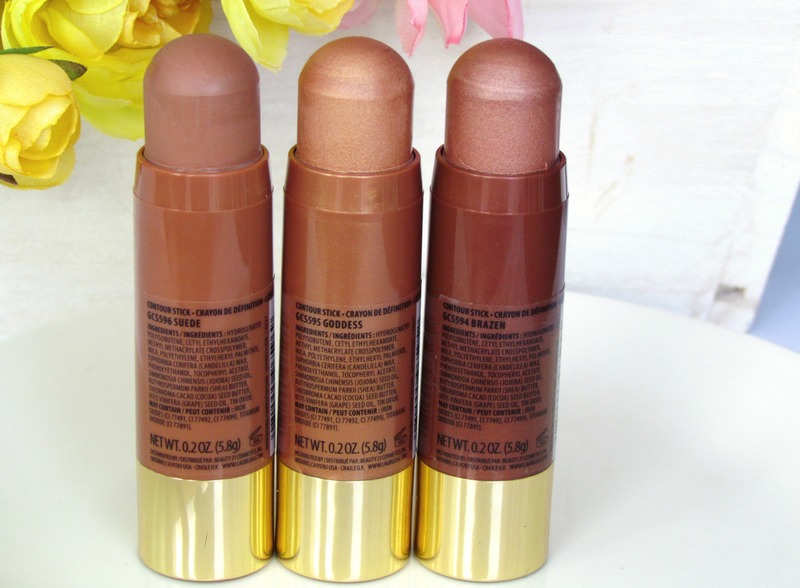 These bronzers are my favorites. I love the shade Suede. It gives that really nice sunkissed glow. 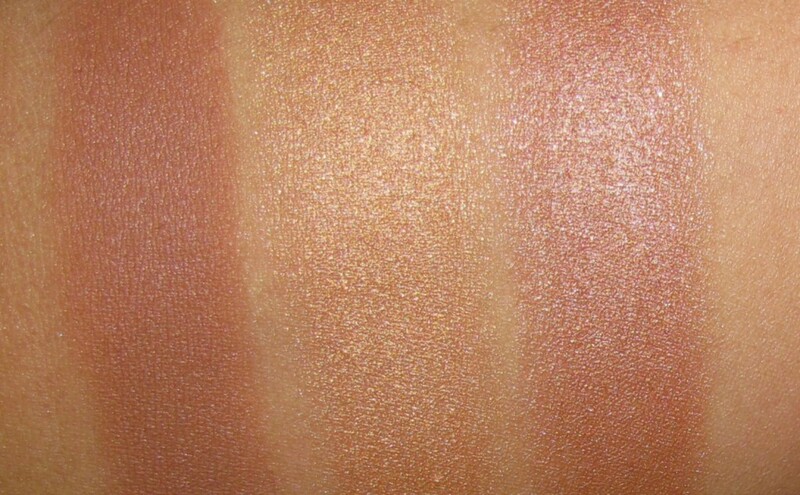 What I really love about the bronzer shades is that – you can mix & match them with the highlighters for a cream contouring. 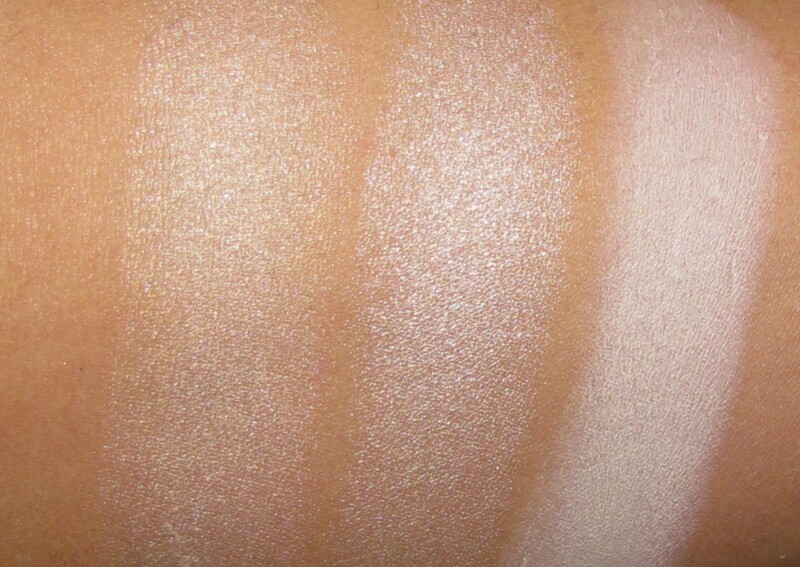 I also use the shimmery bronzer shade Goddess as my creme eyeshadow. it’s great on eyelids as well. Overall, such a great value for money. super easy to apply and twist up stick makes it convenient to use. I like to apply them using my beauty blender but you can use a brush as well. 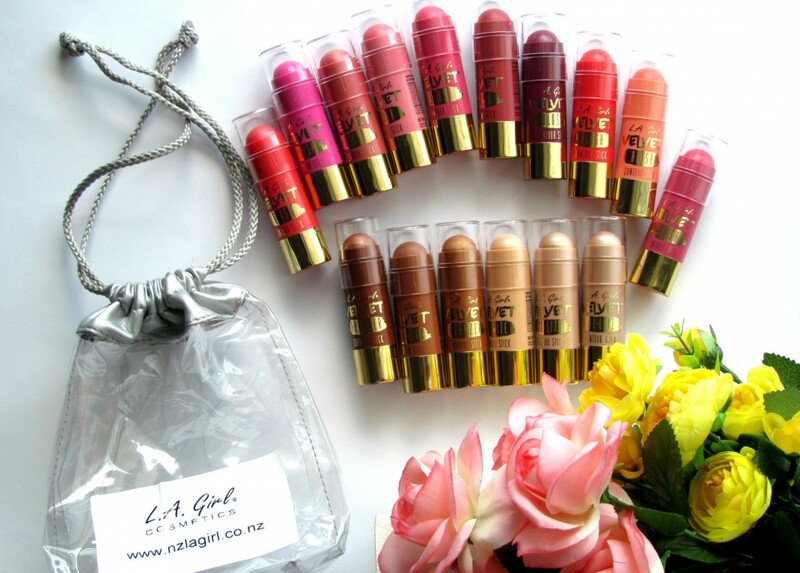 These are priced at NZD $12.99 each and is available for purchase here at NZ L. A Girl website. ** Products sent by brand PR. However my review is honest and unbiased as always. Hey, you can get these at postie for $10! Pinch me looks fab! Loved the rnage of pinks they have!